The American Sign Language (ASL) classes from Copper Hills and West Jordan High Schools teamed up to create animated graphics called GIFs. The animations tell stories through ASL and original student art. 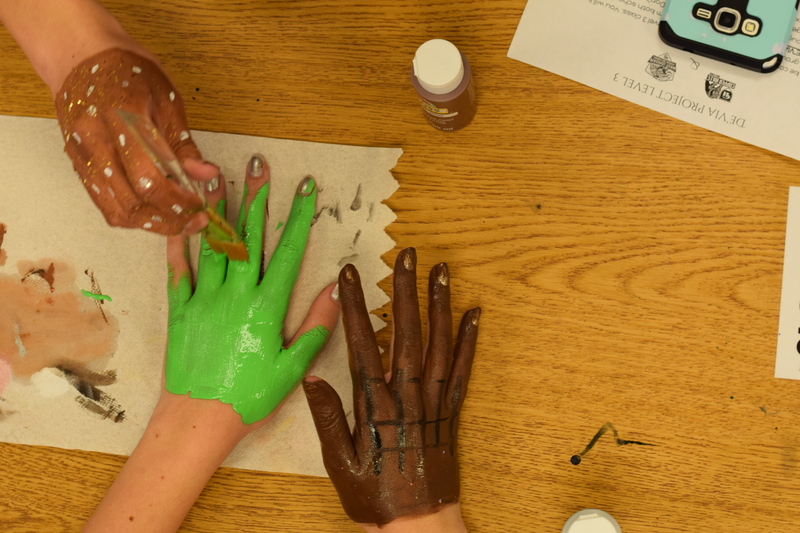 The students split into teams and partnered with the school’s art department to help them design and film the projects using paint and backgrounds. While working on the GIFs, each group was only allowed to use sign language to plan and execute their projects. The images use specific ASL grammar that has special meaning for those that are hearing impaired. Great job students on creating inclusive art that everyone can appreciate. Here are some of the student’s GIFs.